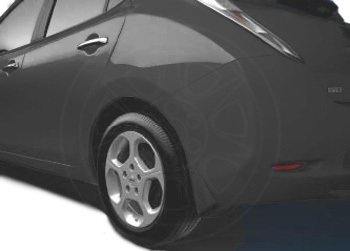 These splash guards add value while protecting your Nissan Leaf from overspray. This accessory is not available in Hawaii for factory installation, but may be installed through your dealer. Please contact your dealer for details..